Exciting new developments from the RFID Journal Live! show, including NFC's killer app (my prediction), the arrival of the 5-cent tag (really & finally! ), passive RFID sensors, visual tags in manufacturing applications, and more. Many have wondered if NFC will ever take off, with some even predicting its demise as Apple repeatedly refused to include NFC in the iPhone. In spite of Apple’s ‘recalcitrance,’ it is projected there will be (thanks to Google) over 400M NFC-enabled phones in use by the end of this year. However, we still lack the ‘killer app’ that will drive really widespread usage (so far, payment is not that app). When I saw NXP’s demo of NTAG I2C, it struck me that this just might enable the killer app that NFC has been searching for. Imagine a washing machine with the sparsest possible front panel—perhaps just a power button and a single LED—and an NFC-enabled phone which provides the user interface for the machine. The implications and possibilities are far-reaching. 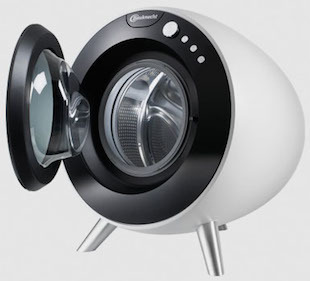 With this setup, the washing machine has the full intelligence of the phone at its disposal, as well as integration with all the data and apps on the phone, and use of its network connection. For example, the phone could make available to the user the complete, detailed owner’s manual, always up-to-date, customized to this user’s machine, including instructive streaming videos. Try doing that on the front panel of a washer! The development tools, OS resources, and developer population are much more powerful for phones than for embedded processors and proprietary displays. The phone also allows instant and deep personalization, recognizing who you are and saving any depth of settings and options you care to set up. It makes registering the washing machine with the manufacturer nearly effortless—just a tap and it can pull all the necessary information from the washer and your phone. If there’s a problem that needs servicing, it can report the exact serial number, service history, warranty information, current configuration (including revision numbers of all firmware and hardware), and run diagnostics—all just with a tap and press of a virtual button. It might notice that the firmware is out of date and auto-download that, saving a trip by the technician. If necessary, it can schedule a service call, synching with the owner’s calendar on the phone. The washer manufacturer could offer the customer a replenishment service for supplies they use with the machine, delivering laundry detergent and other consumables as needed, customized to their specific clothing, machine, and usage patterns (as measured and monitored by the machine itself), providing convenience for the owner and an additional ongoing revenue stream for the machine manufacturer. And it reduces the cost of the machine by eliminating the expensive display and multi-button control panel and WiFi or Bluetooth, using instead a $0.30 NTAG I2C part. This same paradigm could be used for just about any machine or control panel, whether it is a NEST-like HVAC controller, a kiosk at a retail store, any home appliance, TV and stereo systems, home automation, office equipment, vending machines, museum exhibits, hotel room equipment (TV, coffee maker, clock, etc.) and much more, such as wearable devices where a display space is limited and/or they can't afford the current consumption of Bluetooth LE. So what exactly is this NTAG I2C device from NXP? It is an NFC tag with EEPROM memory (1Kbyte or 2Kbyte), an SRAM memory buffer (for unlimited bi-directional data transfer), and an I2C bus connection1 (see Figure 1 below). The tag’s antenna can harvest RF energy from the NFC reader to power the NFC tag, memory, and a (low-power) microcontroller attached to the I2C bus, so it can run even when there is no power to the machine it is embedded in. NXP has sent samples to select customers and is about to go to general release of the NTAG I2C. It was not a surprise to me that NTAG I2C won the “Best in Show” Award for 2014 RFID Journal Live. It has the potential to make NFC-enabled phones an indispensable device for interfacing with your appliances, home, car, office, hotel systems, venues, and entertainment environments. If that happens, maybe we will finally see NFC in the iPhone! Ever since Sanjay Sarma published his paper "Towards the 5¢ Tag" over 10 years ago, people have asked, “Where’s our 5-cent RFID tag?” The folks from Tageos have an answer. They create tags by depositing the antenna directly onto paper, without the need for the PET plastic backing traditionally used in inlays. The process creates an antenna which is much thinner than traditional etched antennas with extremely straight and fine lines. They pick and place the RFID chip using traditional equipment and methods, apply glue and a backing sheet and voila, you have a label. This approach eliminates the conversion step where you sandwich the PET (plastic sheet) between two pieces of paper, saving money on both the cost of the PET sheet and the conversion process. It is also more environmentally friendly as it uses less glue, no PET, and much less metal, resulting in a thinner label with a smaller carbon footprint. The result is a tag that costs about 20%-30% less than traditional tags. 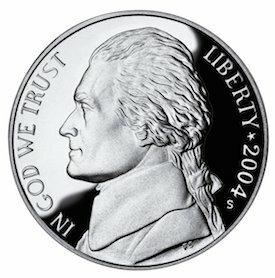 Tageos said they sell their tags for “under five cents” in high quantities. After 6 years of R&D and industrialization, Tageos started selling labels in 2012. Their primary target market is retail apparel, providing labels and hang tags to both retailers and suppliers of garments. This is a very price sensitive market where Tageos has already seen a strong success in Europe, including a large RFID deployment in retail apparel, a major jewelry chain, several fashion brand manufacturers and retailers. Tageos is growing at a healthy pace and is targeting to experience the same success in the US. It should be noted that because of the extreme thinness of the antenna, in some circumstances they will get perhaps 10%-20% less read distance than an equivalent etched aluminum antenna. However, for many applications, this is not an issue. In fact Tageos’ tag labels are certified by the University of Arkansas’ RFID lab for the majority of retail apparel use cases and are being used successfully by their customers in stores and warehouses using handhelds, tunnels, and other fixed readers. In many cases Tageos’ labels were selected to replace competitors’ existing RFID labels, demonstrating that they meet all the requirements for those customers’ use cases at a significantly lower price point. It seems that the 5-cent tag has finally arrived. We also got to see RFMicron, who makes some really impressive passive RFID sensors (see “Innovations from the Chip Makers”). They continue to refine their technology and have added to the types of sensors and specific applications they support. 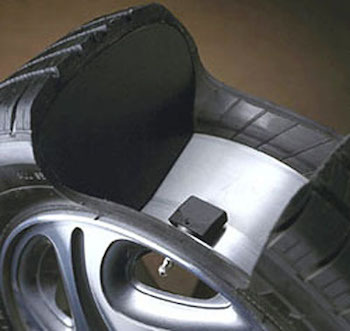 One of the more exciting and promising of these is tire pressure monitoring. The US, Europe, and much of the rest of the world require all cars and light trucks to come equipped with a Tire Pressure Monitoring System (TPMS). This adds significant cost to each vehicle (in the range of $50-$200). RFMicron could replace those sensors and the electronics with a much less expensive passive RFID system. It seems like this could be a no-brainer for automobile manufacturers—a more capable system for a significantly lower cost. And once you have a UHF RFID reader in the car anyway, you can have passive RFID sensors and tags throughout the car for all kinds of purposes, at very low cost. There are over 80 million new vehicles built and sold each year. If RFMicron is able to penetrate this market substantially, it could take them pretty quickly from being a small startup to being one of the largest RFID hardware makers. And that is just one of the application areas they are pursuing. This is a company to watch! Omni-ID continues to show their prowess in manufacturing applications and the differentiation of their visual tag (see The Value of Dynamic Visual Tags). They created the View 10, their largest visual tag yet, with a 10” display, five capacitive touch buttons, WiFi connectivity, the ability to sense infrared beacons, and of course UHF RFID. And they made it thin enough (about 13mm ≈ ½”) to be able to directly replace the “traveler sheets” (standard 8½ X 11 paper documents that travel with the vehicle or complex machine as it moves through the assembly process) that are commonly used in complex manufacturing environments. It can slide right into the existing document holder. A great example is how Detroit Diesel (a Daimler company) is using them. 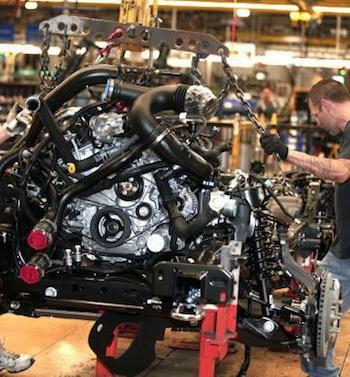 Their Freightliner truck engine plant produces a new engine every 2½ minutes. Like most automakers, Detroit Diesel used to print a “build book,” up to 60 sheets for every truck engine they make, describing exactly how it should be built. These were printed offsite by a third party and arrived each morning on a pallet. These were based on decisions made a week earlier, so Daimler had a crew of employees that did nothing but go through and markup any changes to the build instructions that had occurred since the build books had been printed, as well as manually matching every book to every engine being “born”—leading to costly errors. Using Omni-ID’s View 10, all those changes are automatically updated—even changes made at the last minute—which is tremendously useful in complex, dynamic manufacturing environments. It also saves a tremendous amount of paper and printing costs, as well as the labor to manage them. Plus, it allows the exact location of each engine to be tracked, recording what has been done and remains to be done. Detroit Diesel is also installing View 4 tags2 for parts replenishment and using Omni-ID’s passive tags for dunnage (RTI3) tracking. Another major auto manufacturer is using the View 10 in their transmission plant. In that plant they make over 100 million gears each year—nearly 50 different types (SKUs) of gears that go into these transmissions. 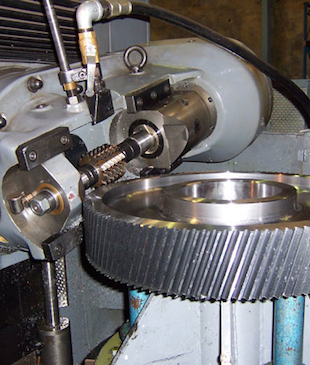 Each gear has many fabrication steps such as machining, grinding, etching, polishing, and more. For some of these steps, it can be very difficult to tell just by looking whether a gear has gone through the step or not. They had no visibility into the status of each cartful of gears. If all the polishing stations were busy, a worker might leave the cart there and return to other tasks. That cart might not get noticed for hours and other workers were not sure of the status. They managed this situation using runners with radios going around finding stuff. Now they can keep track of the exact disposition of each cart; any worker can see the status and next step on the visual display. Further, the system can tell the worker specifically where to take each set of gears—“take to etching machine #42.” Now they are able to track the path of every gear going through the plant, analyze all that data, spot the inefficiencies, and optimize their operations. Omni-ID continues to learn from their experiences as their devices are used in manufacturing environments and they continually refine those devices. For example, they learned that the device needed to be thin enough to fit in the slots that typically hold paper documents. They also worked on improving battery life and charging. 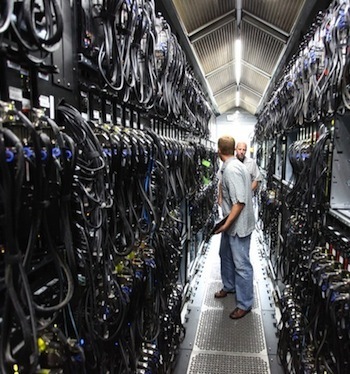 The V10 battery lasts about two weeks, rather than having to be recharged every shift. It is recharged using an inductive charging coil; you just drop it into a slot instead of plugging it into a charging station (where pins can get all gummed up or broken). Omni-ID said that savings on paper and printing alone can usually bring a payback period of 12-18 months. The other benefits are sometimes harder to quantify, but are often much larger. Besides their focus on developing solutions specifically for the manufacturing market, Omni-ID continues to deliver solutions through partners across manufacturing and many other key vertical markets that they have historically served, including IT data centers, Oil and Gas, Healthcare, Government and Defense. RFID Global continues to do very well in IT asset tracking, healthcare, and other sectors, with a number of application-specific capabilities. For example, they have a product master database containing the names of over 70,000 different types of IT assets that their customers track. This helps ensure consistency and avoid errors that occur with free-form typing of asset types. Their application, Visi-Trac, can run on a handheld and includes embedded analytics, such as counts of asset types and dwell times for mobile assets. Visi-Trac is also good for tracking materials, not just assets. For example, it is used on construction sites, using outdoor tags with GPS to track material in a yard. It is also used for tracking scaffolding inspections, to make sure they are inspected regularly as required by law. It is being used on offshore oil and gas to support marine logistics. With all of these, you can view assets on a map, click on the asset icon, and see a description of the asset and other relevant information. RFID Global continues to enhance their core asset management capabilities. They have added Visi-Trac Audit manager, the ability to conduct inventory, show rack positions anywhere in the data hall, and color code each item with the current status, indicating what work has been completed and remains. They can create audit remediation reports to note what was missing and a list of remaining actions. RFID Global has been doing well and their future looks bright. Impinj announced their Monza R6 passive UHF chip, which is optimized for high-volume applications as in retail and supply chain. It has an impressive list of new functionality and performance, such as excellent read sensitivity, rapid encoding, and auto-tuning. We’ll cover this in more detail in another article soon. I’ve only scratched the surface on all the new developments shown at the conference. RFID is really hitting its stride and is an exciting sector to be in right now. You can read more about the RFID Journal Live! Conference in this issue.